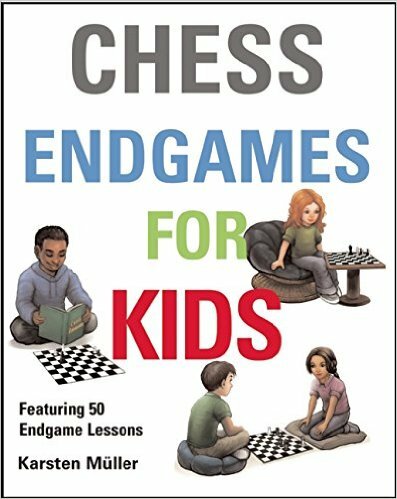 Chess Endgames for Kids (HB). Type: BOOKS. Detail: Muller, K. Product Code: 9781910093610. Most chess games are decided in the endgame. It is here where you reap the reward for your good play, or else use all your cunning to deny the opponent victory. Knowing just a few key endgame techniques will dramatically increase your confidence, as you will understand what positions to aim for and which to avoid.Starting with the basic mates and the simplest pawn endings, this book provides all the endgame knowledge that players need to take them through to club level and beyond. Mller carefully guides us stepbystep through a fascinating range of endgame tactics and manoeuvres, helping us understand the underlying logic.Throughout the book, many cunning endgame tricks are highlighted. You will have fun springing them on friends, family or your opponents in serious tournaments. Chess Endgames for Kids makes learning chess endgames fun. But it is also a serious endgame course written by a leading endgame expert, and provides a firm basis for vital skills that will develop throughout your chess career.